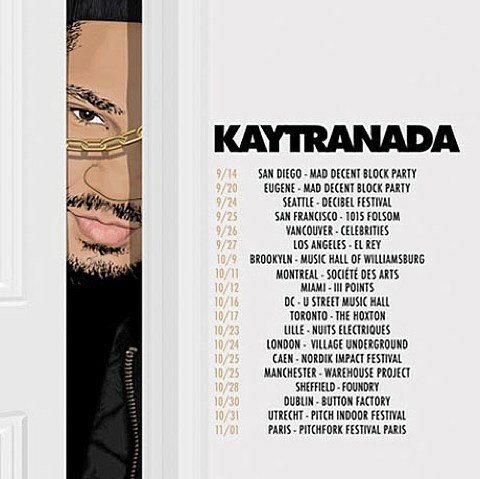 Montreal producer/AlunaGeorge remixer Kaytranada recently signed to XL and is planning to release an EP on that label at some point. Details are still sparse, but the beatmaker did just announce a North American tour for the late summer and fall. That tour brings him to NYC where he’ll headline Music Hall of Williamsburg on October 9. Tickets for that show go on sale Friday (8/1) at noon with an AmEx presale starting Wednesday (7/30) at noon.